Prawns have quietly slipped from Air New Zealand 's menu because of concerns they could have been caught by slave labour. This is part of a wider move across the New Zealand airline, and others around the world to crack down on forced labour and human trafficking. 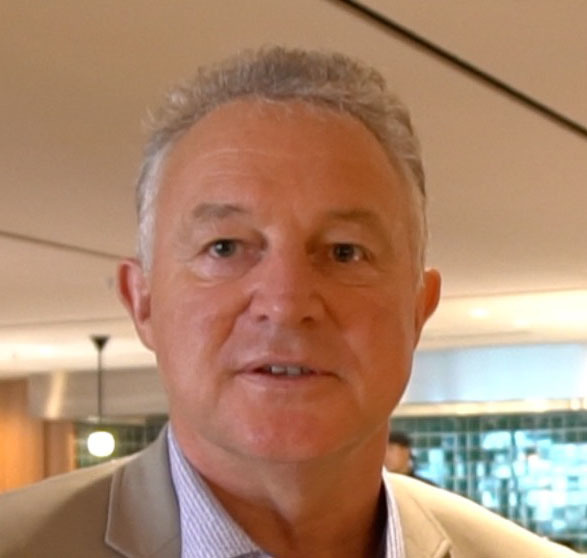 Air New Zealand chief executive Christopher Luxon said a supplier code of conduct wanted to establish greater levels of transparency so the airline knew where food and other goods were coming from. There have been reports of slave labour being used in prawn operations in South East Asia. 'It's a small example of the things we're looking at - we have to be reaching back further into our supply chain to make sure that inadvertently or unintentionally we might be causing something that's contravening basic human rights or labour rights,'' Luxon said. The airline had signed up to international modern slavery legislation three years ago and to the United Nations' sustainable development goals. Air New Zealand is also part of an international effort to stamp out human trafficking, an initiative boosted this week by the International Air Transport Association's (IATA) drive to eliminate the practice. Luxon said his airline began training staff last year to recognise people who may be travelling under duress. IATA said an estimated 24.9 million people were illegally trafficked and live in conditions of modern slavery. Luxon said the issue was truly global. It was important that to teach crew to spot what could be situations that need more questioning and intervention. Alexandre de Juniac, IATA's director general and chief executive told the association's annual meeting in Sydney that criminal gangs and terrorists were trafficking people. The association represents nearly 280 airlines carrying around 80 per cent of that traffic. It passed resolutions calling for sharing of best practices among airlines, including training relevant operational staff with the objective of identifying potential trafficking situations and taking appropriate action that did not compromise the safety of the victim. The resolution also called on government authorities to establish clear, practical and discreet mechanisms for the reporting of potential trafficking activity in the air transport system. Actress Mira Sorvino, who is a goodwill ambassador for the UN Office of Drugs and Crime (UNODC), addressed the IATA meeting via video and congratulated individual airlines that were already working on this issue. ''No one is expecting the aviation industry to take over the role of law enforcement. But you and your staff can become additional boots on the ground to support them in the fight against this horrific crime," she said.